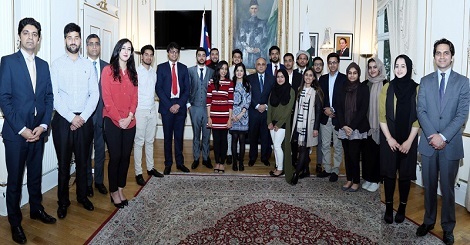 A 23-member group of the British Pakistani students studying in various universities of the UK visited the Pakistan High Commission London on 19 August 2016. Several of them were the heads of the Students Union Pakistan Society of their respective university. The visit was organised in continuation of the High Commission’s initiative to reach out to all segments of the Pakistani community living in the UK. The High Commissioner shared the elaborate plan of events chalked out by the Mission for the 70th anniversary of Pakistan. The students were also shown the recently launched commemorative logo for the 70th anniversary.The students expressed their resolve to build bridges between Pakistan and the UK. Apart from their studies, the students were actively engaged in youth and communal activities. In order to unite the Pakistani student community in the UK and present positive image of Pakistan abroad, they created the Pakistan Foundation in 2015. 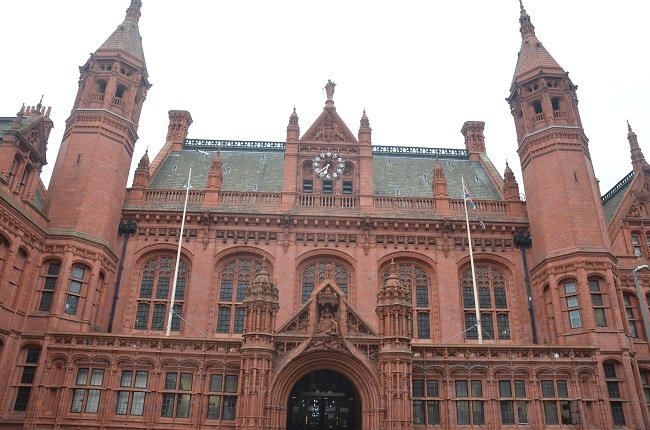 According to them, they were striving hard to promote cultural heritage and traditions of Pakistan in the UK. Pakistani students; and working on charities with emphasis on education. The students also briefed the High Commissioner on the future events being organized by them including a Conference on Pakistan in November 2016, Pakistan Week, Pakistan Society Collaborative Charity Ball and the Pakistan Society Cricket League to connect Pakistan Societies through sports. The High Commissioner commended the civic sense and positive community engagement activities of the students and assured them of all possible support from the High Commission.